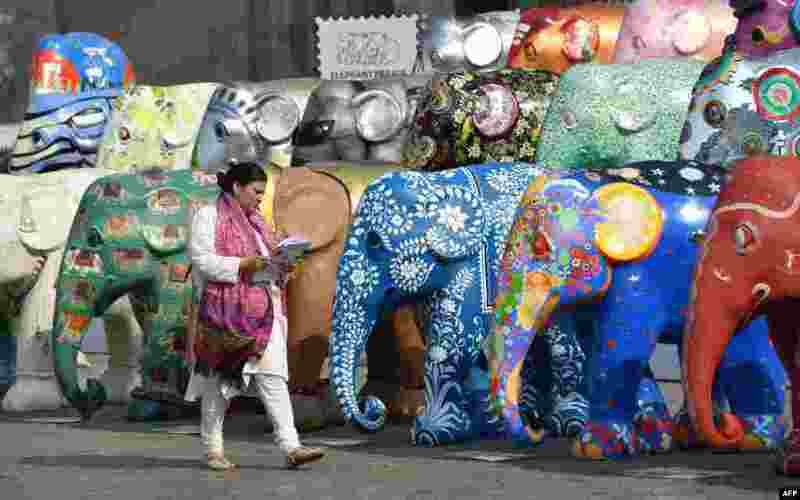 5 A woman walks among elephant sculptures displayed as part of the Elephant Parade India initiative in Mumbai, India. 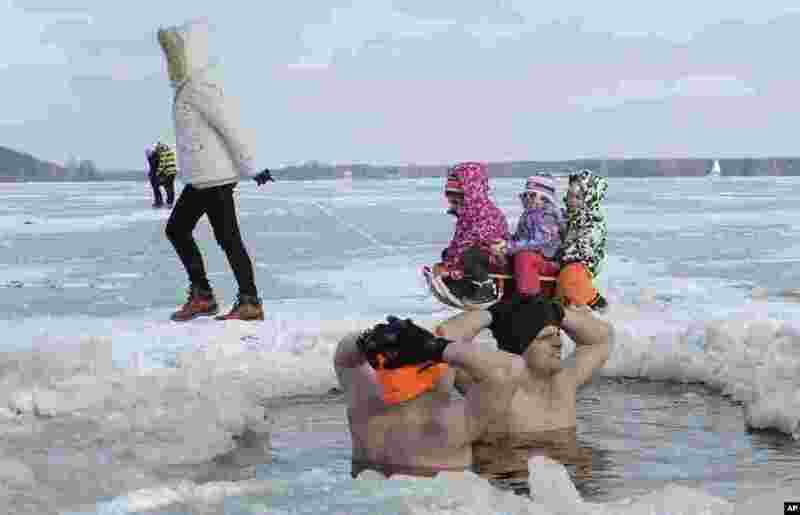 6 Children enjoy a sled ride past ice swimmers at the Zalew Zegrzynski lake in Nieporet, Poland. 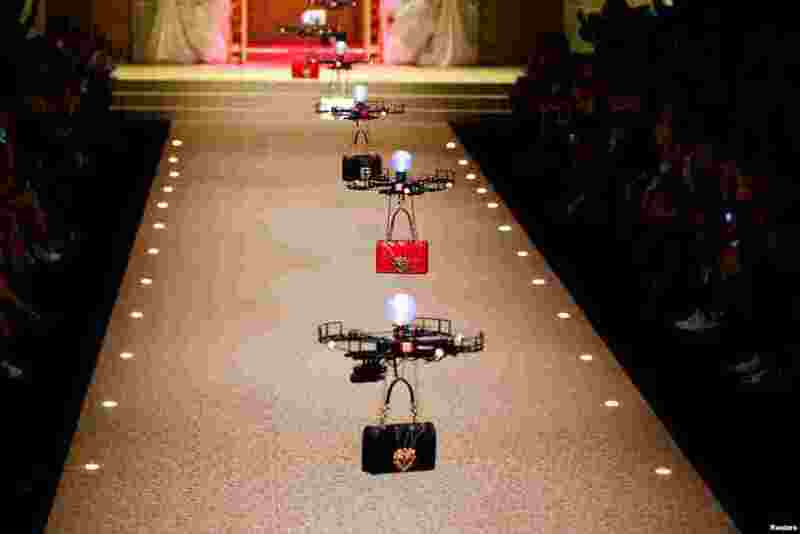 7 Drones carry handbags, the creations from the Dolce & Gabbana Autumn/Winter 2018 women's collection during Milan Fashion Week in Milan, Italy. 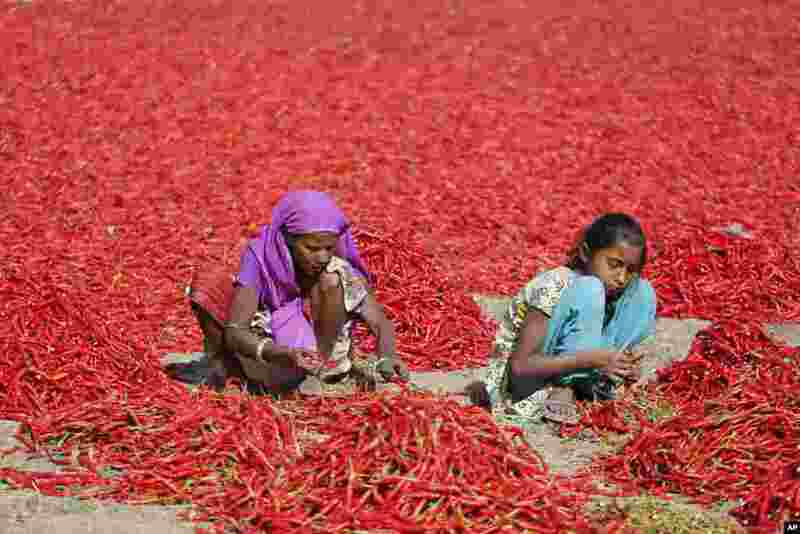 8 A woman and a girl remove petioles of red chillies at a farm at Shertha village near Gandhinagar, India.